This is a list of famous people who have considerably changed their views, beliefs and preconceptions during their lifetime. It is interesting for seeing how people can change their mind in a positive way. 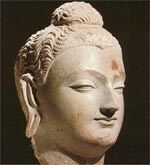 Buddha (563 BC – 485 BC) Siddhartha was a great prince of an Indian kingdom. But, he gave up all his worldly comforts to be an ascetic and seeker of enlightenment. As an ascetic, he tried starving the body, but when this didn’t work, he forsook extremes and followed the ‘middle path’ which enabled him to gain the experience of Nirvana. After attaining Nirvana, he travelled around India sharing his teachings. Ashoka (304–232 BCE) An Indian Emperor who ruled over a huge Indian Empire. He conquered Kalinga in a bitterly destructive war, in which thousands were slain. After seeing the slaughter he had caused, Ashoka embraced Buddhism and preached a new doctrine of non-violence, toleration and peace. Mary Magdalene (4 BCE–40 CE) Some accounts suggest she was a woman of ill-repute, this may not be accurate, but her life was transformed by meeting Jesus Christ and she became devoted to his ideals and Mission. St Paul. ( 5 – 67AD) In his early life, Saul of Tarsus was a Roman citizen who participated in the persecution of Christians, but after a vision on the road to Damascus, he embraced the religion he used to persecute. St Paul became a passionate evangelist and spread Christianity to all corners of the Roman Empire. Emperor Constantine (272 – 337) The First Roman Emperor to embrace Christianity. In 313 he issued the Edict of Milan which allowed Christians to profess their faith without interference. It ended the Roman Empire’s persecution of Christianity. 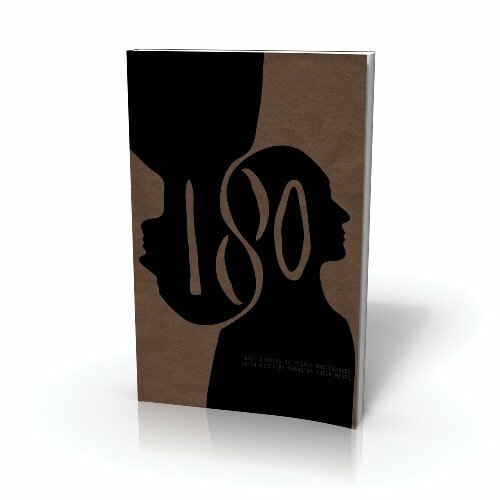 Ralph Waldo Emerson (1803 – 1882) Ordained a Pastor in a Unitarian church, Emerson left to pursue his own independent ideas and philosophy. He became one of America’s foremost philosophers, writing essays on mysticism and individualism. Emerson could never be confined in a neat ideology, expressing a great freedom of the mind. Abraham Lincoln (1809 – 1865) Lincoln came from rural Illinois. In the 1850s, after defeat in Senate elections, he decided to retire from politics. But, he came back to become President in 1861. Initially, he fought the civil war to maintain the union, but as the civil war progressed, he felt the necessity of abolishing slavery in the whole country. Leo Tolstoy (1828 – 1910) Tolstoy was born in a privileged aristocratic family. He served as an army officer and incurred large gambling debts. He came to reject his privileged lifestyle, freeing his own serfs and embracing pacifism and Christian-anarchism. 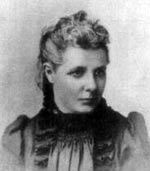 Annie Besant (1847–1933) Besant was born in a middle-class family in Victorian Britain. She rebelled against the social norms and became a campaigner for social equality and trade unions. She later became interested in spirituality and became a Theosophist. In her later life, she became a campaigner for Indian Independence and was the leader of the Indian Congress party. 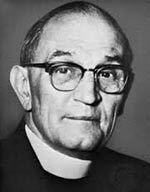 Martin Niemöller (1892 – 1984) During the First World War, Niemöller was a successful German U-boat captain. He was also a staunch conservative nationalist, who welcomed Hitler’s assumption of power in 1933. However, in 1937, he was imprisoned for criticising Hitler’s religious policies. After the war, he admitted guilt over the holocaust and became a prominent pacifist and member of the Peace Movement. George Orwell (1903 – 1950) – Orwell was educated at Eton and entered the Imperial British civil service in Burma. However, Orwell came to oppose the British Empire. He also reacted against the class privileges he was entitled to. He embraced periods of poverty to experience life amongst the poorest workers. He also volunteered to fight on the side of the Republicans in the Spanish civil war. 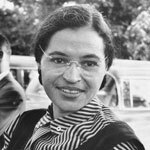 Rosa Parks (1913–2005) After many years of sitting at the back of the bus, in segregated sections – one day,1 December 1955, Rosa Parks refused to move and was asked to get off the bus. This began the Montgomery Bus Boycott, which was a pivotal moment in the US civil rights movement. Mikhail Gorbachev (1931 – ) Gorbachev was a committed member of the Soviet Union Communist party. But, despite believing in the ideals of Communism, he saw many things were not working and so was willing to introduce the radical reform policies of Perestroika and Glasnost – which led to the fall of the Berlin Wall and the end of Communism in the East. F. W. De Klerk (1936 – ) F.W. 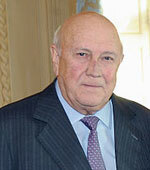 De Klerk served as the last President of Apartheid South Africa. Initially, he was a strong supporter of apartheid, but as President, he evolved his views and came to accept apartheid had to go. He released Nelson Mandela and oversaw the transition to multi-racial elections. Citation: Pettinger, Tejvan. “Famous people who changed their minds”, Oxford, www.biographyonline.net, 23rd May 2013. Last updated 19 February 2018.